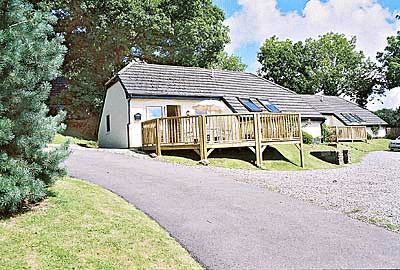 6 Lakeside Rise is a 1 bedroom self-catering holiday cottage, set in dramatic Ruby Country scenery with fantastic views towards Dartmoor visible from the raised decking area. 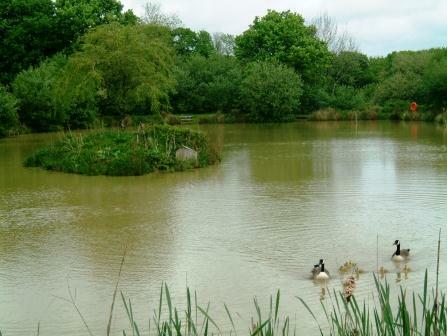 6 Lakeside Rise has access to a course fishing lake, indoor pool and sauna, as well as a small children’s play area. The cottage sleeps up to 4 with an ensuite bathroom off the double bedroom and a double sofa bed with spring sprung mattress. There is a fully equipped open plan kitchen/diner, with hob/oven, fridge/freezer, dishwasher etc, attached to the lounge. Located close to the village of Highampton and within easy reach of both Holsworthy and Hatherleigh, Dartmoor and the North Devon and North Cornwall coasts. Highampton has a village pub and shop, making eating out and getting supplies easy. This entry was posted in Accommodation, Self catering and tagged accommodation, cycling, Devon, fishing, Hatherleigh, Highampton, Holsworthy, ruby country, walking. Bookmark the permalink.